Lytro Illum is indeed a very interesting new product on the market. The camera is classified as a light field camera, which makes use of a new technology in capturing the scenes. The newcomer claims to be able to deliver exceptional image quality and provide very easy and simple operation. So, is it really an outstanding product that you should get? Or, should you stick with Sony a6000, which is available at a slightly higher price? Continue reading below to find the answer! If compactness and portability are important to you, then you probably should consider getting Sony a6000. 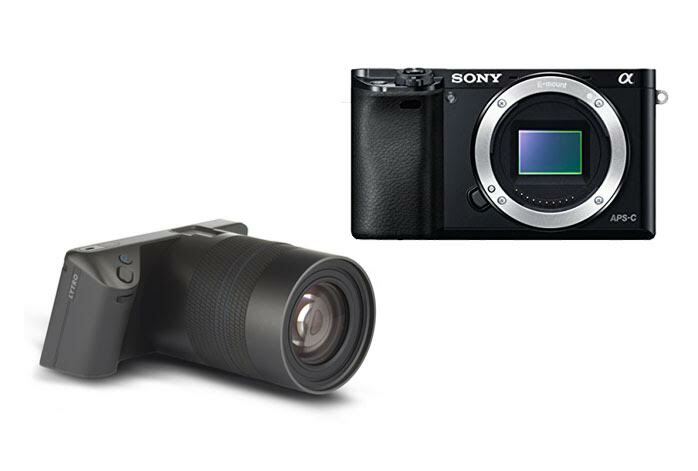 As a mirrorless digital camera, Sony a6000 boasts a very slim and compact form factor. It is very easy to be brought along in travel, without taking too much space in storage. On the rear, you can find a 3.0-inch tiltable high-res display screen along with control and dial buttons. The lens system is detachable, which means you can also switch between lenses. On the other hand, Lytro Illum has a fixed, non-detachable lens, so it is indeed a bulky thing. The lens has 30-250mm equivalent focal length, providing up to 8x optical zoom, with a constant F/2.0 aperture and 1:3 macro. Lytro Illum has an intuitive touchscreen for control. You need to be aware that these two products have different working mechanisms. Sony a6000, as a mirrorless digital camera, is perhaps more familiar to you. It is armed with a 24 MP APS-C CMOS image sensor, with 51200 maximum ISO and 1/4000s maximum shutter speed. The Hybrid AF system features 179 focal plane phase-detection points and 25 contrast detection points for the ultimate performance. It tracks objects very quickly and accurately. It can effortlessly capture crisp and detailed images with superior vibrant and vivid colors. On the other hand, Lytro Illum utilizes 40 mega ray customized sensors with Lytro’s patented microlens array technology to reproduce the images. The Light Field Engine 2.0 promotes enhanced image quality and processing speed. It is capable of capturing all the color, intensity, and direction of every light ray coming into your camera. The innovative design brings total control to your hands; during the image capture, Lytro Illum gives an interactive depth feedback that shows the relative focus of every object in the frame so that you can compose your images in three dimensions. While the image depth is indeed outstanding and the colors are nice, the output size is only 4 MP. - Sensor: Capture a deeper picture. - Lens: All you need in just one lens. - Light Field Engine 2.0: Bigger pictures, faster processing. - Total Control: Perfect balance of tactile controls and touch interface. Lytro Illum is indeed an interesting new product. It can be awesome if you are interested in experimenting with the exposure and depth of field. However, you won’t be able to use it to produce large-sized images. Thus, for professional purposes, you should stick with Sony a6000, which offers outstanding performance and versatility.